One of the most important Christmas gift choices we make is that special gift that we either make or buy for our loved ones. If you do decide to buy, your gift can still possess that love and attention to detail that only a handmade gift can have. 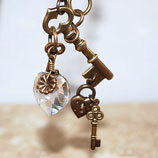 The secret is handcrafted jewelry. The reason why so many cherish handmade gifts is the care that went into creating them. Well, a great deal of care goes into the creation of handcrafted jewelry. 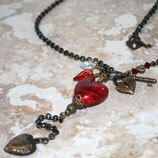 But handcrafted jewelry also shows your loved one that you took the time to pick out a one-of-a-kind gift for her. That extra effort says I love you. 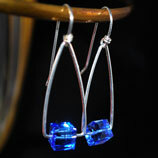 So before you rush out to shop for that handcrafted jewelry, you ought to put a little extra thought into it. Try to find that handcrafted jewelry that really connects with the individual. For instance, do they have a favorite animal? 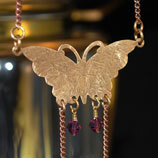 Then maybe handcrafted jewelry with a horse, hummingbird or butterfly theme would be the perfect choice. Also, think about their preferences. Some women only wear jewelry at work, while some only wear it when going out for the evening. Others like to have different sets for different occasions. Determine what kind of woman they are, and then figure out where her collection is lacking. Maybe she doesn’t have enough bracelets for work, so you could put your focus there. You also want to take into account any special considerations when choosing the perfect handcrafted jewelry gift. For instance, do they have sensitive ears? When in doubt, it’s always best to opt for handcrafted jewelry that is lightweight and hypoallergenic. You might also want to focus on jewelry that does not require special attention, such as polishing. 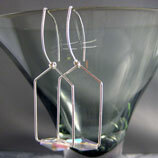 Most handcrafted jewelry is available in copper, gold and silver. Copper is an especially excellent choice for a number of reasons. It’s an earth tone with natural beauty and that makes it a perfect choice no matter the attire. And it’s suitable for both work and play. Best of all copper jewelry tends to be less expensive than either gold or silver. Well, there you have it. Start early and take your time to find that perfect handcrafted jewelry. You may even want to put most of your focus online where there are some truly excellent opportunities. One of the best online sources is at Genuine Bijoux. 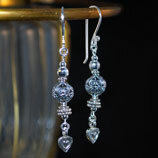 They have one of the most amazing selections of handcrafted jewelry available anywhere.